Can Allergies Be Caused by a Deviated Septum? As pollen begins to fill the air in Birmingham, allergies kick in. Approximately 40 to 50 million Americans suffer from allergic rhinitis, more commonly referred to as hay fever. Allergic rhinitis can either be seasonal – in which symptoms last from early spring to late fall – or perennial, which cause year-round distress. Children or adults in Birmingham who have allergies, in addition to a deviated septum, may experience worsened symptoms. But can a displaced septum actually cause allergies? The nasal septum is a physical barrier composed of bone and cartilage that runs the length of the nose, separating it into two airways, otherwise known as nostrils. When the septum is straight, both nostrils are almost symmetrical in size and shape. However, the American Academy of Otolaryngology estimates that more than 80 percent of the population has a crooked – or deviated – septum. This may occur as a result of a growth defect or may be caused by an injury, such as an impact to the nose or a fall. When the septum deviates, it bends away from one nostril and into the other, obstructing the clear flow of air. Therefore, one nostril has more open space while the other has less. Many people who have a crooked septum exhibit no symptoms and are not even aware of the condition. In others, however, the deviation can occur to such a degree that it is difficult to breathe through the side of the nose where the bend occurs. If your child has a deviated septum, he or she may complain of a “stuffed” feeling in the nose even when the nostrils are clear. When only one airway is functioning normally as a result of a deviation of the septum, when allergies and their symptoms strike, they can cause an even greater degree of discomfort. While the crooked septum does not actually cause the allergy, its presence may exacerbate your child’s symptoms. How Can I Tell a Deviated Septum From Allergies? 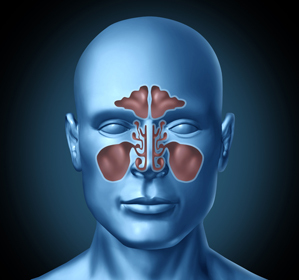 A deviated nasal septum is a physical condition that does not vary in its presentation. If your child has seasonal symptoms in Birmingham — while they may be complicated by a deviated septum – they are probably caused by underlying allergies. How Can I Cure or Manage My Child’s Allergies? When symptoms do occur, consulting a pediatric ear, nose, and throat specialist (ENT) can help determine which antihistamines or other medications can best control them. Depending on how complicated the case is, you may also be recommended to an allergist. How Can I Cure or Manage My Child’s Deviated Septum? A deviated septum is a physical condition. It cannot be eliminated through medication or therapies. 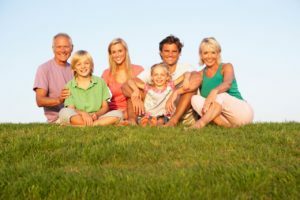 At Pediatric ENT Associates in Birmingham, we can examine the degree of the deviation and devise a treatment plan to control the symptoms such as limited use of antihistamines and/or steroidal nasal sprays. In the case of a profoundly deviated septum that is causing severe difficulties breathing or dramatically exacerbating allergic symptoms, your pediatrician may recommend your child for a surgical correction called a septoplasty. Learn more about the septoplasty procedure at WebMD.com. If your child is prone to allergies and/or has a deviated septum, the first step is to contact the board-certified pediatricians at Pediatric ENT Associates for a consultation and evaluation. You can reach us at our offices in Birmingham, Alabama at 205-831-0101 or via email using this form.